In 2016, the free fishing weekends are February 13 & 14 and June 11 & 12. For both days, all fishing licenses will be waived, but fishing regulations still apply. Enjoy great fishing on inland lakes and all five Great Lakes. 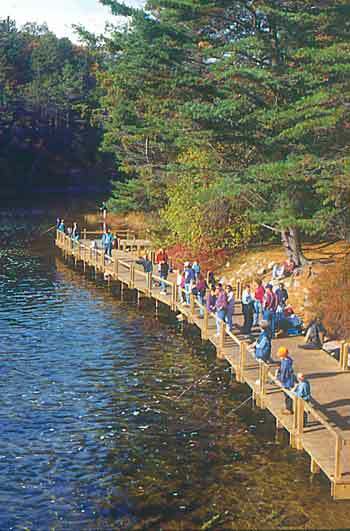 Some of the best fishing is right here in West Michigan, with salmon, trout, walleye, and pike in plentiful supply.